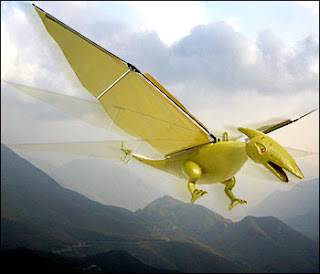 The pterosaurs and pelycosaurs have been undergone new researches- the fin-backed ancestors of modern mammals - have shown their convoluted head crests and sails. They were developed for the purpose of sexual selection. Until now, many thought these accessories arranged body temperature or, in the case of pterosaurs, such as the giant Pteranodon, they helped them to avoid while they were flying. The relative size of the head crest compared to the body of the pterosaur was too big for it to have been dedicated to temperature control shown by the research, published in The American Naturalist. Because of sexual competition,these findings suggest that the elaborate crests and sails became so grand. Pterosaurs put more effort into attracting a mate than peacocks whose large feathers are considered the most Extendable one.